'Up in the Air': If Displaced by Storm, Where to Call Home? In this Tuesday, Sept. 18, 2018, photo, Lutrice Garcia stands outside a Red Cross shelter where she's staying, at a school in Bennettsville, S.C. Garcia said her nearby home was damaged by flooding caused by Hurricane Florence, and she doesn't know if she'll be able to return there to live once the water recedes. As the pounding rains from Hurricane Florence finally ended, Lutrice Garcia left the shelter where she had spent several nights on a cot and tried to head home. But floodwaters from overflowing Crooked Creek covered the road and an emergency responder told her water was seeping into the houses. The 28-year-old nurse had left photo albums and other important keepsakes stashed on high shelves before she fled Friday. She worried about the wedding dress she plans to wear on her big day in November, still hanging in the closet. With the creek still rising, Garcia mostly wondered if the home she recently finished repairing from Hurricane Matthew's flood damage in 2016 would once again wind up uninhabitable. Her mother lives nearby, but already has eight other relatives under her roof. If she can't go home, Garcia isn't sure where she'll go. "It's up in the air. I'm just taking it day by day," Garcia said Tuesday as she returned to the middle school where more than 30 people remained in a disaster shelter in rural Marlboro County in northeast South Carolina. 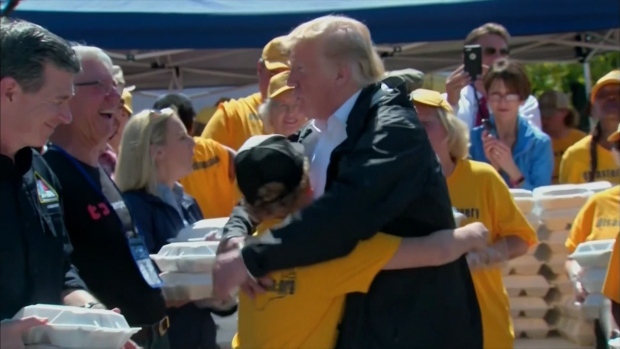 Officials overseeing evacuations and emergency rescues following Florence's catastrophic crawl across the Carolinas will soon face a long, hard recovery. Among the first tasks: finding temporary housing for thousands whose homes were destroyed or severely damaged by the storm's coastal surge and inland floods. It's too early to say how many will end up homeless because of Florence, as rivers swollen by days of rain still threaten to swamp communities barely touched by the storm's landfall. North Carolina had about 10,000 people in shelters Tuesday, and South Carolina had another 320. Many could need a place to stay for weeks, even months. They might get vouchers to stay in hotels, or rent to move into apartments. Some could get trailers deployed after disasters by the Federal Emergency Management Agency. 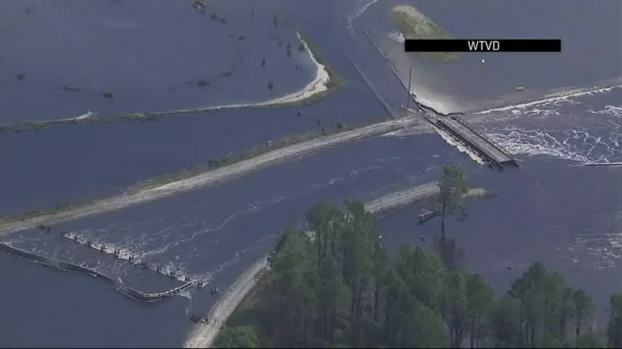 The federal government has approved major disaster declarations for the Carolinas, meaning immediate funds can go to help with damage repairs and recovery. Tom Farigone of the Incident Management Assistance Team at FEMA said "everything was on the table" in terms of possible temporary housing. "But our first priority is to get people out of areas that are immediately dangerous to their health and into a safe, sanitary and secure temporary shelter-like accommodation," Farigone said. "And then we will move them into something that better suits their needs." FEMA officials have been in North Carolina for days looking at housing options, said Mike Sprayberry, director the state Division of Emergency Management. He said they expect to use FEMA's Transitional Sheltering Assistance program, which uses state and federal funds to house displaced residents in hotels. The demand for hotel rooms for Florence's victims could be much greater than after Hurricane Matthew. While 4,000 evacuees found protection in North Carolina shelters during Matthew, that number during Florence peaked at over 20,000. FEMA reduced its reliance on trailers after they became symbols of the troubled federal response to Hurricane Katrina in 2005, when more than 144,000 trailers were deployed to Louisiana and Mississippi. The agency's downsized trailer stock led to shortages last year amid high demand after Hurricane Harvey slammed Texas and Hurricane Irma struck Florida. FEMA had just 1,700 trailers when Harvey hit in August 2017, and the agency rushed to put out bids for an additional 4,500. FEMA hasn't said how many trailers it has available after Florence, but agency officials have said they're better prepared this hurricane season than in the past. The long-term recovery will take years. Although more than $740 million in federal, state and local funds have been spent to address Matthew's damages, North Carolina officials are still working to distribute $236 million allocated by the federal government last year to help reimburse or pay for extensive home repairs. 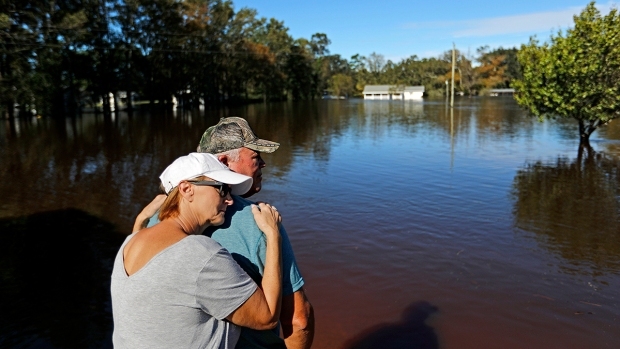 Jackie and Quinton Washington lost their home in Lumberton, North Carolina, to flooding during Matthew. They finished rebuilding last October. Then on Friday the couple and their two children evacuated again as the Lumber River began overflowing. Even before the river crested, photos from neighbors showed the Washingtons' house surrounded by water Monday, with the river still expected to rise several more feet. "So it's pretty much we've lost the house again. There' no doubt about it," Jackie said from her mother's home in Rock Hill. She said her family should be fine staying with relatives, as they did after Matthew. Their greatest worry is affording another round of rebuilding. 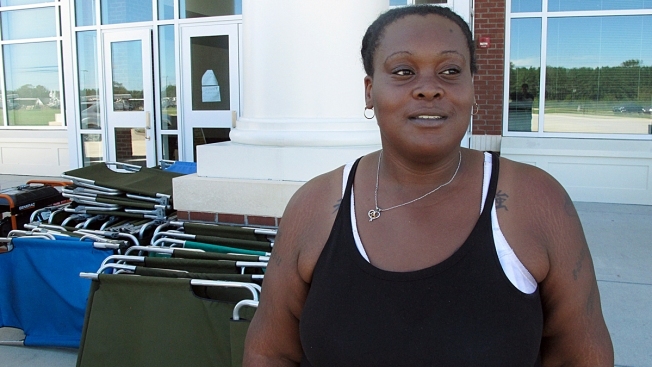 FEMA gave the Washingtons $20,000 two years ago, not nearly enough to cover the cost, she said. They couldn't afford flood or homeowners insurance then, and they don't have it now. Every extra dollar the couple had went into rebuilding the first time around. "Our whole life savings is in that house," Jackie said. "And now it's gone again." Associated Press writers Meg Kinnard and Colleen Long contributed to this story.